1. 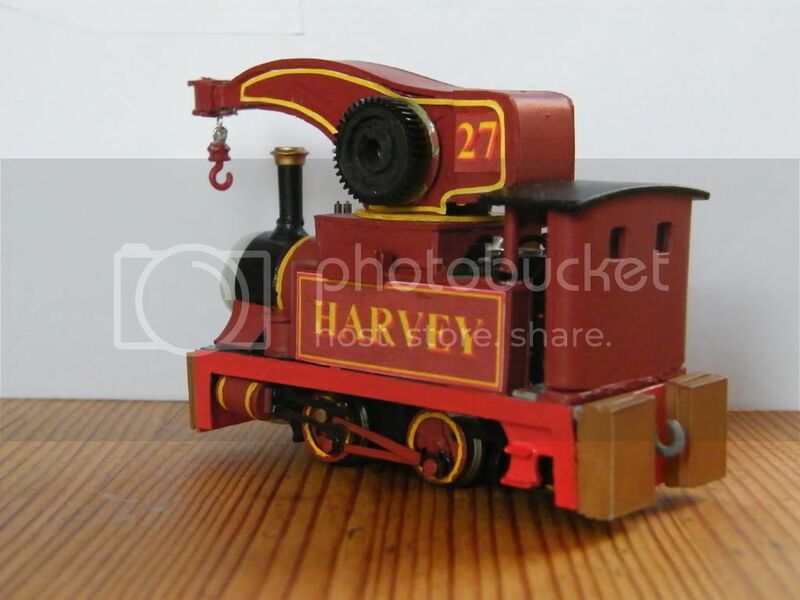 Skarloey, 2. Rheneas, 3. 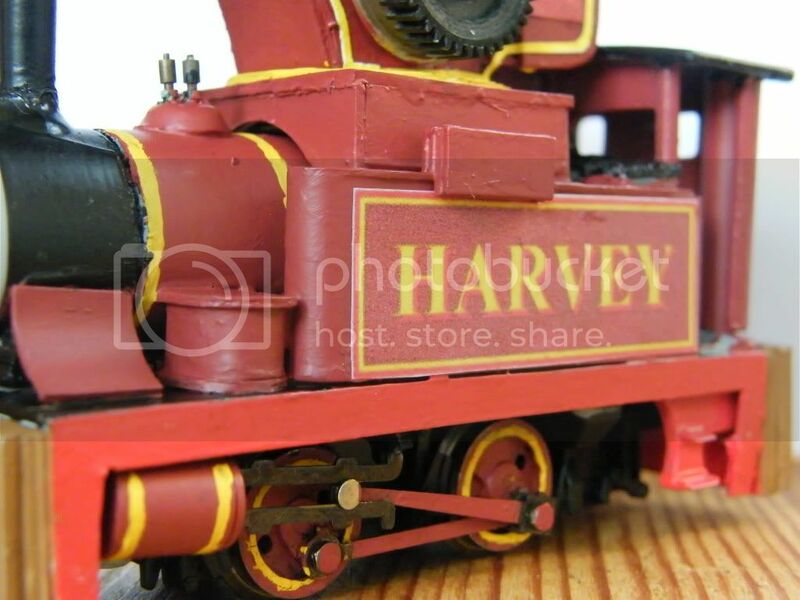 Sir Handel, 4. Peter Sam, 5. Rusty, 6. Duncan, 7. Ivo Hugh, 8. Duke, 9. Fred. 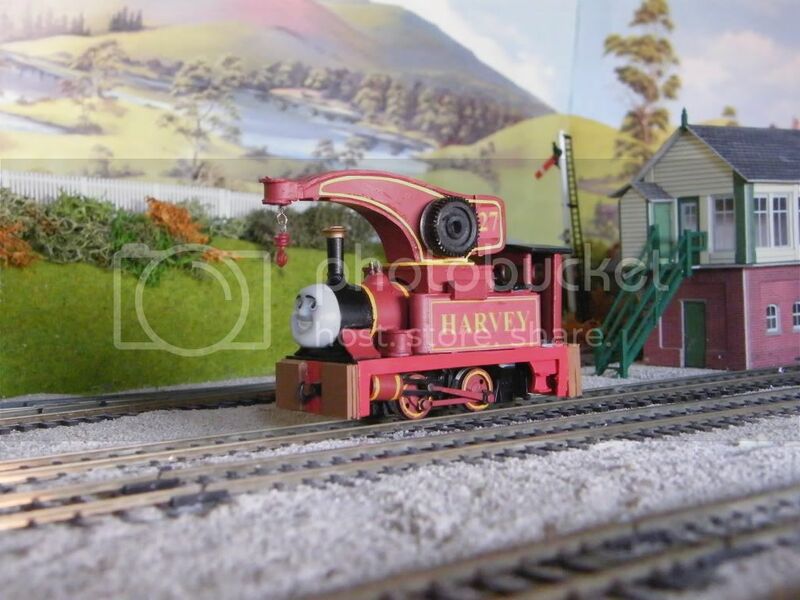 I am a fan of the Skarloey Railway from The Railway Series. 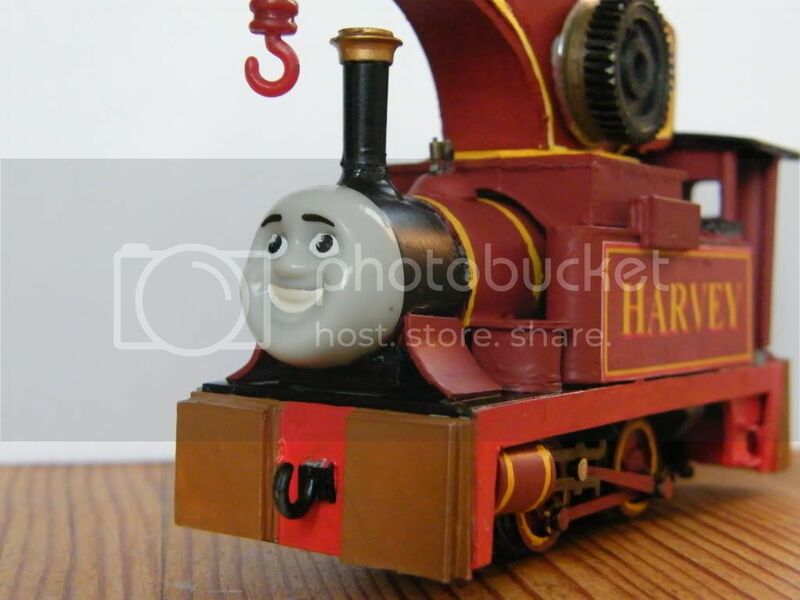 The face is from a wooden Bash model, it seemed to suit Jolly quite well, so i went with it. I have started on a new character, G. Ruffy, S.C. Ruffy's twin! 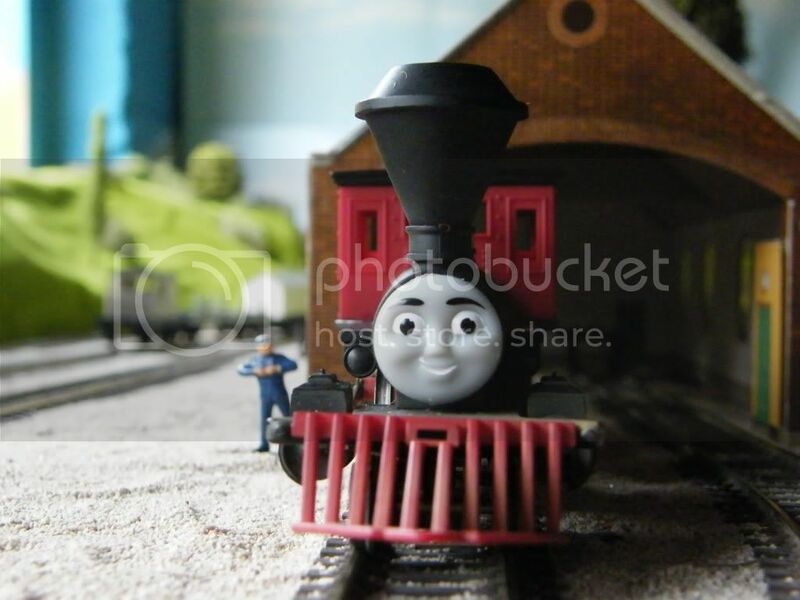 He is from the other railway and will make and apperance in my new series! 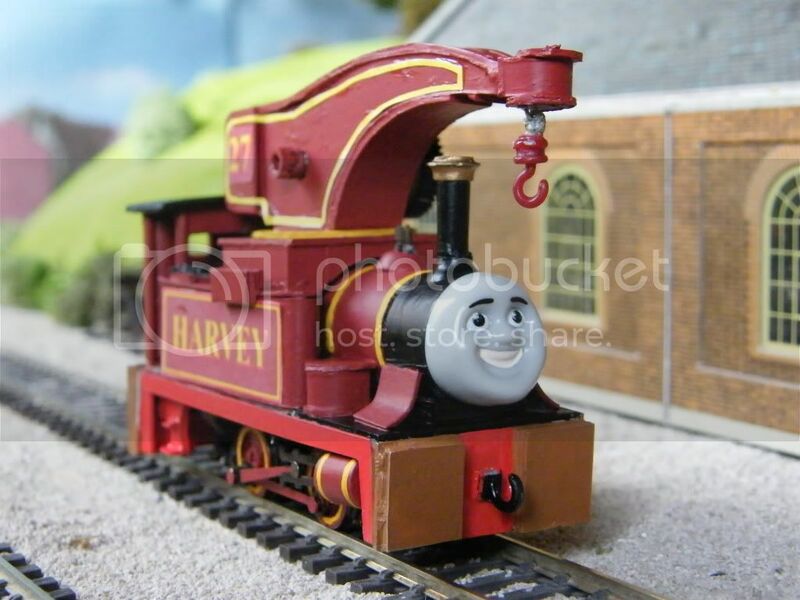 He has stubble, and will have weathering, and, will be much more aggressive and rude than S.C. Ruffy. Sometimes bad characters are fun. I will post a video of him when he is done. If and when your original character debuts in your series, I look forward to the day. G. Ruffy (heh, nice one) sounds like an interesting sort of Truck. If you need a voicer, let me know. I'm still working on my audition video for your series..
All this modelling talk makes me more and more want to start myself! 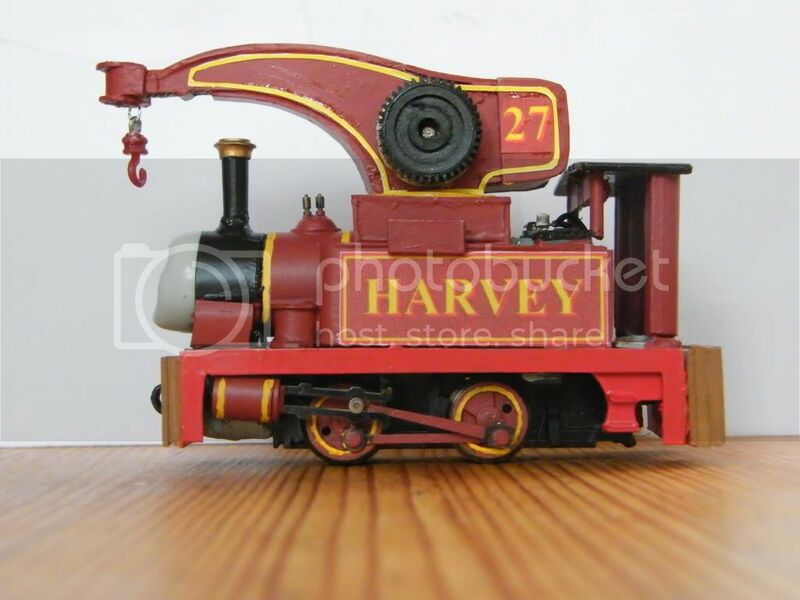 I have plans to modify a Bachmann Junior 0-6-0 Saddletank into something.. else.. but that'll have to wait until I can get the funds to get one. I will in fact need a voicer! Gruff voice for Gruffy. 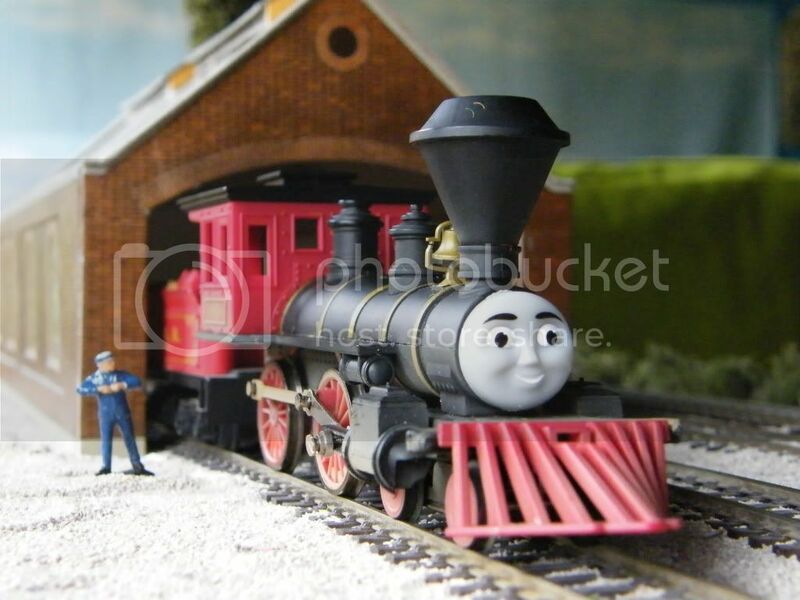 Oh, and by the way, Stepney55, Fantastic work! I am impressed! 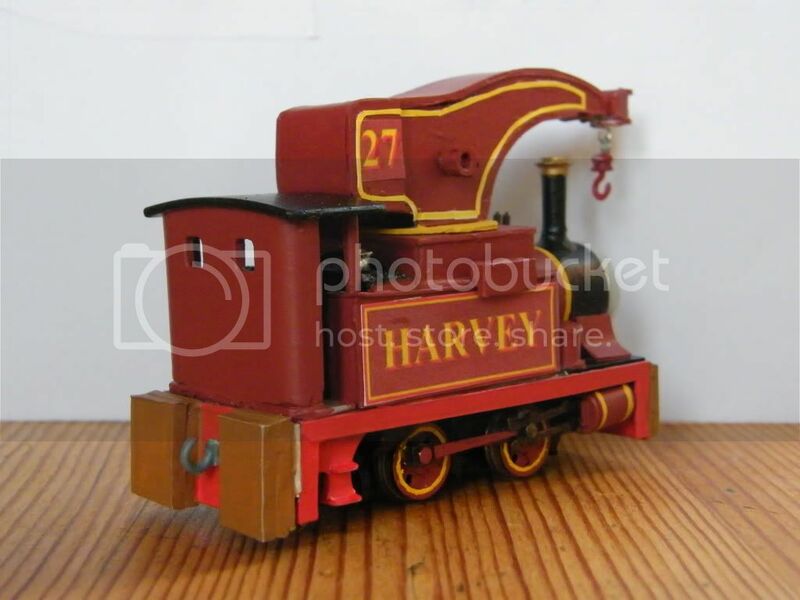 I had actually thought about adding a buffer-beam to Jolly's tender, so hopefully a similar job will be done like Hank's. 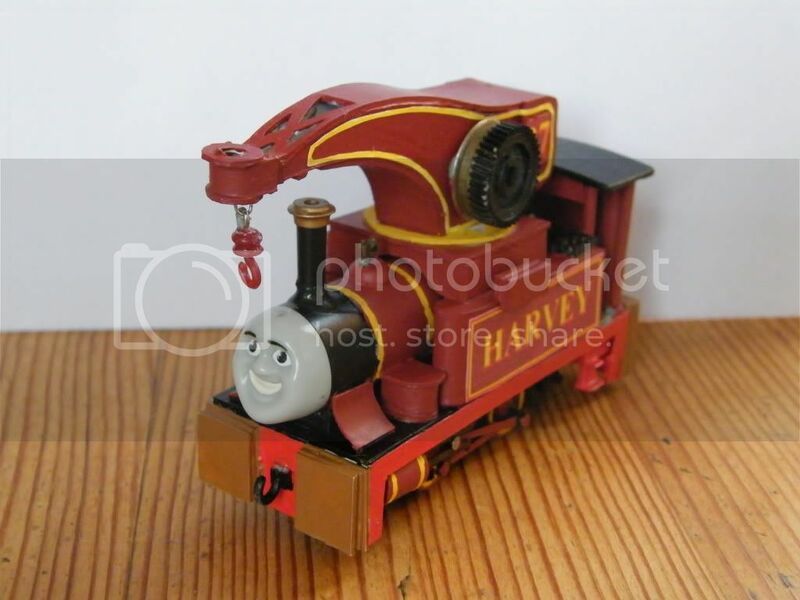 Now that's a great Harvey model, Stepney, definitely a significant improvement over the original--Especially the crane arm (which I just can't ignore! ). I see you have reused the paper/card decals from the old model, have you ever considered using custom transfers? Yes, that crane arm is impressive. I can't wait for episode 4 of your series. 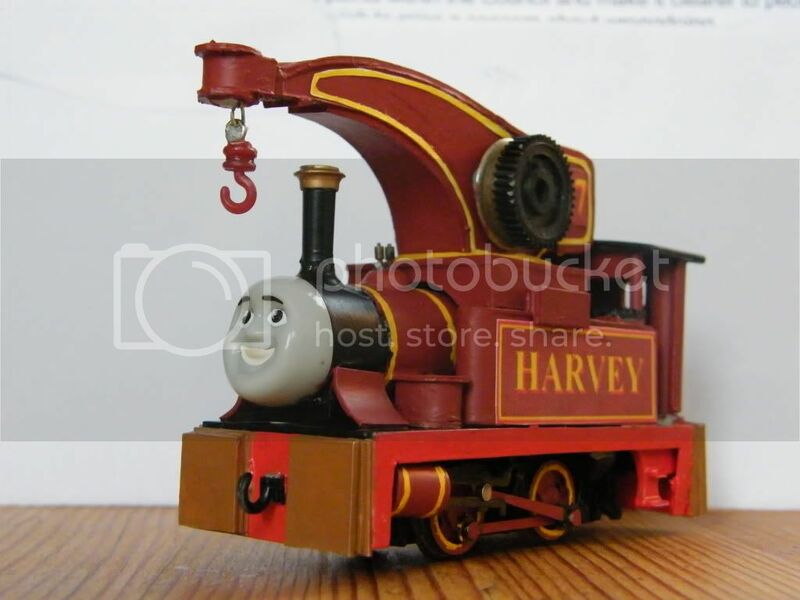 Will Harvey make an apperance? 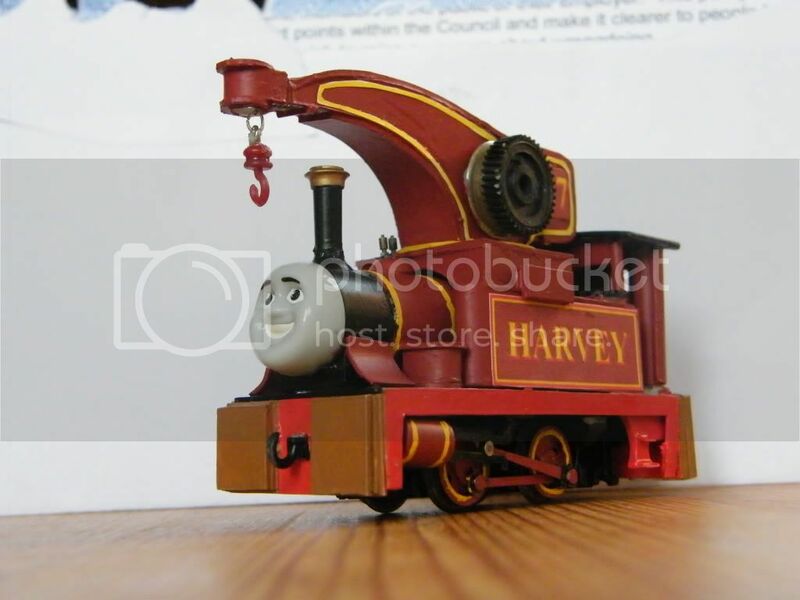 @ Stepney55: Nice work on both Jolly and Harvey! 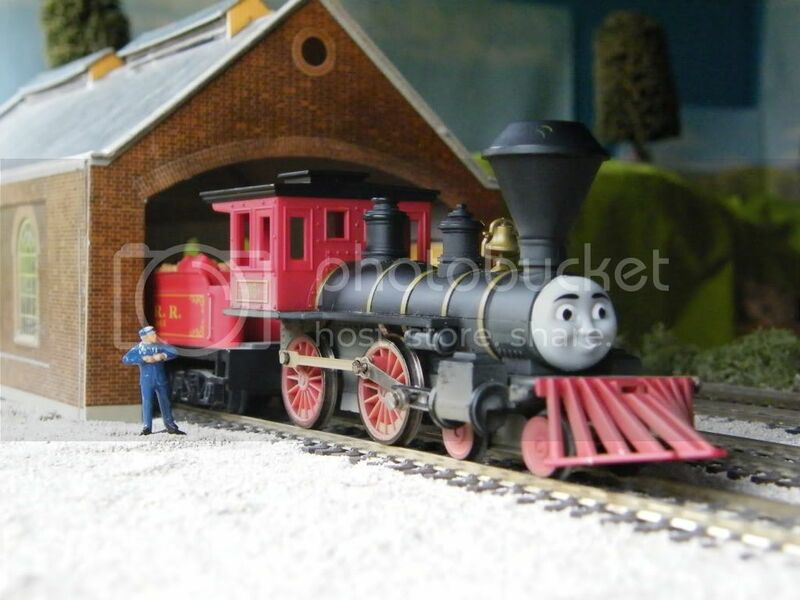 You're a very talented modeller! 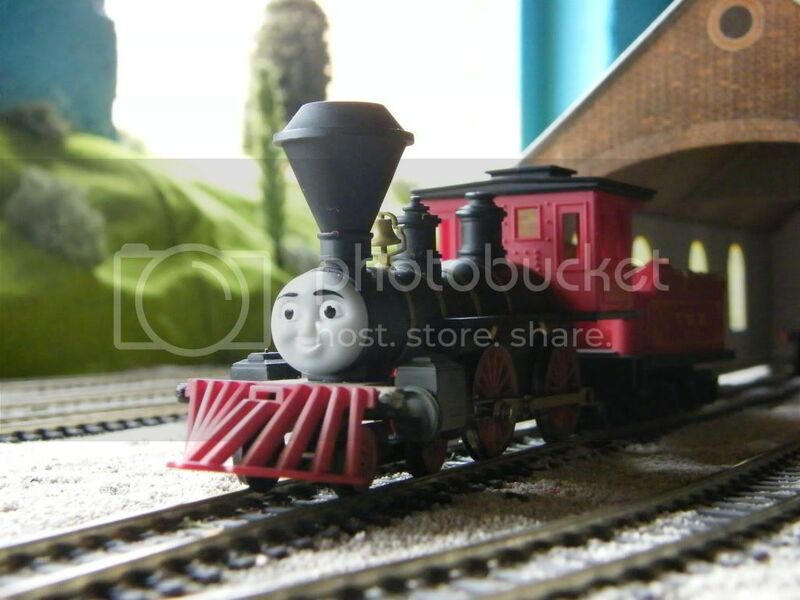 And thanks very much for the comments guys, my next project is hopefully going to be an accurate model of Diesel 10. 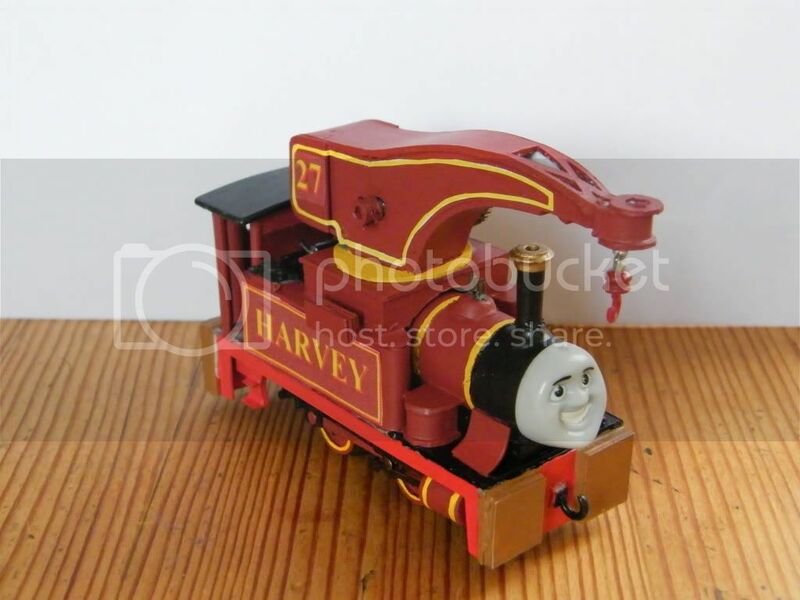 The face i am still deciding on, but my thoughts point towards the track-master magic railroad version, as well as the DOTD, CGI one. The tender was purchased from Ebay about a week ago for £7.50, Triang made Transcontinental locos as well as British Outline ones, and the tender happened to come from a 'Davey Crockett' 2-6-0 loco, where that tender originated, but sadly the loco didn't come with the tender, so, i gave the tender to Jolly.